Shhhh! Listen up! 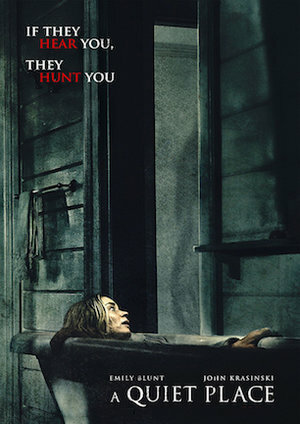 On this episode of The Necronomicast, the group explores the worldwide smash hit “A Quiet Place”. With a modest 17 million dollar budget, this frightening flick has scared up over 200 million dollars worldwide in just a few weeks and doesn’t show signs of slowing down yet! Our spoiler filled review explores the refreshing take on horror from John Krasinski. Later, Wayne gives a spirited review of a truly horrible horror movie “Sssssss”, Laurie tells us what’s she’s been reading, and we conclude with a chat about the passing of broadcast legend, Art Bell. “A Quiet Place” on this episode of The Necronomicast!